Are you traveling this winter? The weather certainly is begging for you to get a little sun , or at least, a good road trip. 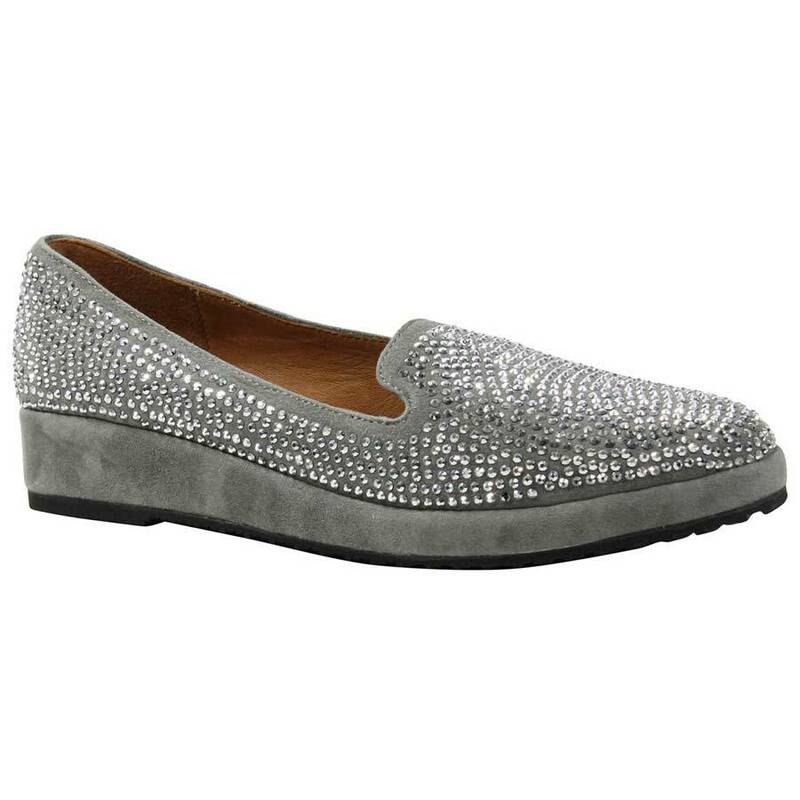 We are leaving for Philadelphia and New York City for Valentine's Day and beyond....not too far but far enough to want these darling little bling loafers from l'Amour des Pieds, the Correze and their sister, the Carisoli....Just the names make you long for a cross Atlantic visit to Sicily! But, if that isn't happening in the next 6 weeks, you can look like know all about that trip to Sicily whether you are in Florida or NYC. Discover the beauty of comfort with the Carsoli from L'Amour Des Pieds. Soft rich velvet with embroidery upper to wear with denim or stretch pants to slacks or tuxedo pants. Find all day comfort with the patent-pending adaptable memory foam arch support designed to expand and contract with the contours of your feet. Full sheep nappa lining added for breathability and comfort. This is the kind of loafer that you will wear 9,000 times. They will perch by the back door, waiting like the inventory magnet that they are, so you can slip them on and GO. The comfort level is off the chain and the style is the usual l'Amour des Pieds Euro class and chic....and they come is silver which is completely adorable. If BLING is not you...check the Carsoli, another black, velvet loafer with all the same comfort whistles and bells, a little less expensive, accented by an interesting embroidery design. I have these in Black on line and they are a must for transition to spring. You will live in them till flip flop time.